One of the really neat things about space exploration has been the New Horizons probe that raced past Pluto, giving us the image of the now famous heart shape on the dwarf planet. But as it raced past a Kuiper Belt object named Ultima Thule on New Year’s, we received some tantalising first images of a snowman in space. Basically, two spheroid bodies fused together like a snowman or a peanut. This is a fascinating graphic produced by the science research teams that show how the latest downloaded photographs from New Horizons—it will take many more months for the full set—show Ultima Thule is not very snowman-like in its shape. Instead, it is far flatter and more, in their words, shaped like a dented walnut and a pancake. 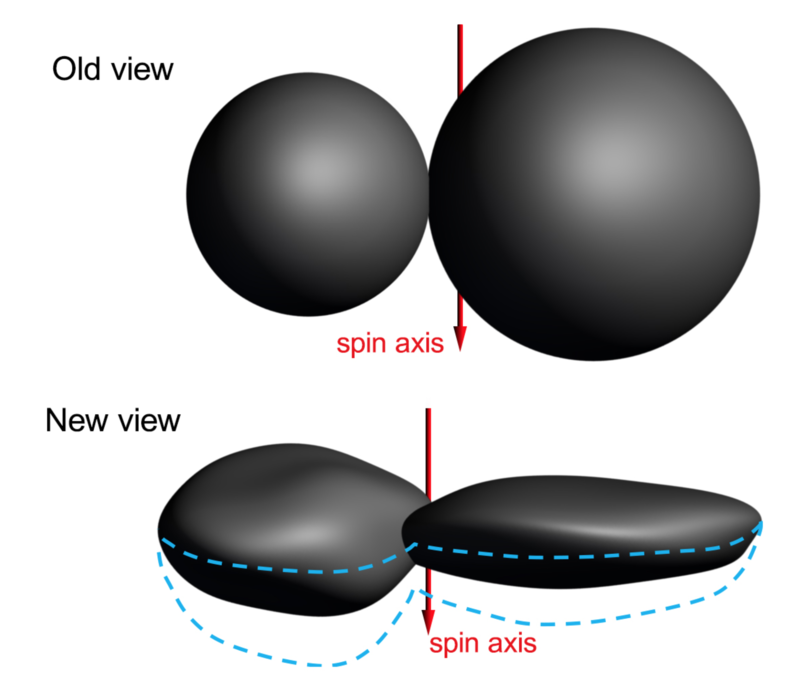 The article has some additional material that show how that spin axis changes the view. They are short videos, but if you are interested in space things, it is neat to see. We are accustomed to seeing spherical objects in orbit around the sun. Not pancakes. Credit for the piece goes to NASA, Johns Hopkins University Applied Physics Laboratory, and Southwest Research Institute.